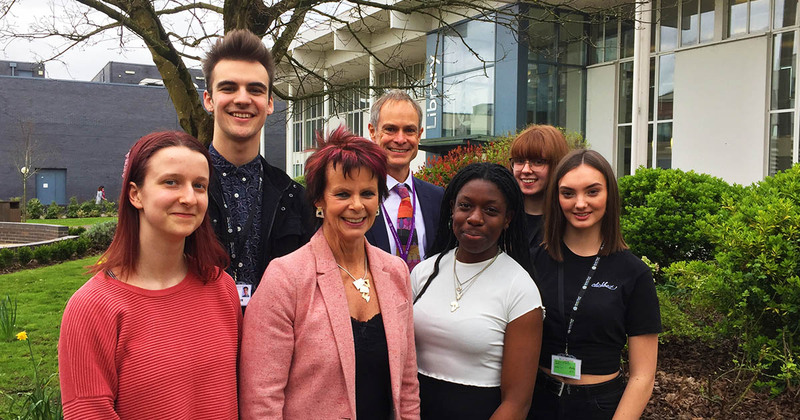 Left to right : Vilte Sukyte, Elijah Jeffery, Anne Milton MP, Barton Peveril Principal Jonathan Prest, Melody Biebeda Mijero, Anna Bodman and Miriam Firth. 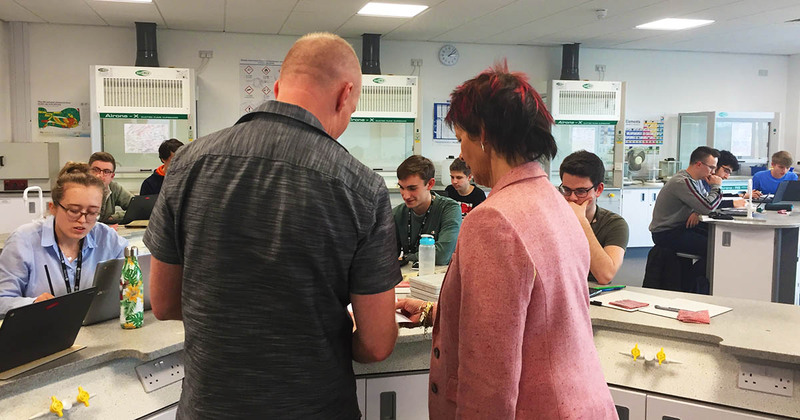 Barton Peveril welcomed Minister of State for Skills and Apprenticeships, the Rt Hon Anne Milton MP, on Thursday 21st March. Ms Milton spoke to current students about their education and plans for the future, before meeting with staff from across the College. 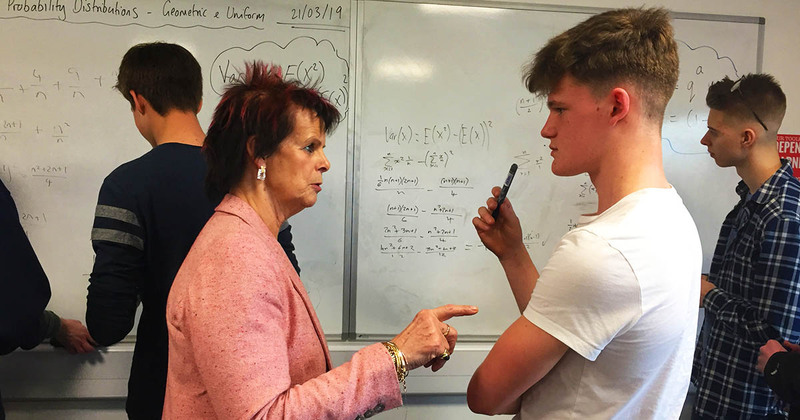 Anne Milton MP with Barton Peveril student Josh Sneddon. “Our further education and sixth form colleges have a vital role to play helping people of all ages and backgrounds get the skills they need to get on in life. “It was fantastic to visit Barton Peveril Sixth Form College and to meet their amazing staff and students. They are doing some brilliant work here to make sure more young people are able to gain a range of important skills from STEM to performing arts.